The sig-o switcheroo Make your partner an accessory to the crime. Both of you order whatever drink you always get. 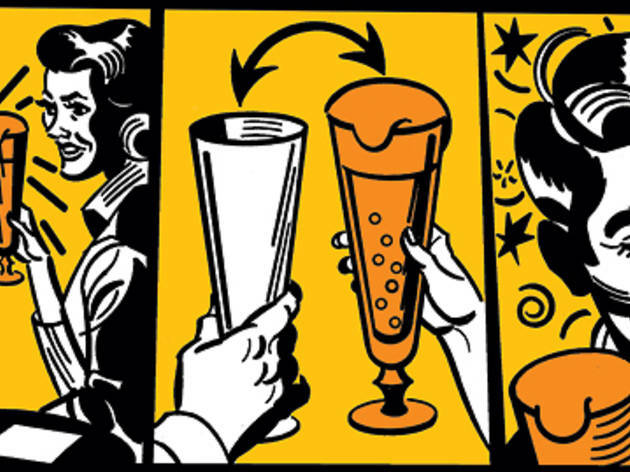 Socialize holding your own alcoholic beverages, but every 10 to 15 minutes, you both place them on a table and covertly trade drinks. He drinks two beverages, you drink zero. This works best if you both order the same drink, so the folks you’re chatting with quickly lose track of who’s sipped how much of what. 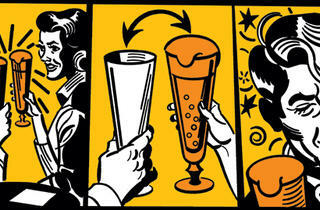 In this scenario, you will have to bring the drink to your lips every so often to convey drinking. The grift Rather not hold something potent? Order a nonalcoholic fizzy liquid like soda or tonic water from the bartender (obviously, do this out of your friends’ earshot, or make your date do it) and ask for a lime or lemon wedge as a garnish. If you want to get fancy, ask for a splash of grenadine or cranberry juice—just be warned if you make it look too interesting, a friend will ask for a sip. Ask the bartender to pour the drink into a tumbler, just like he would a cocktail. Otherwise, you’re carrying around a towering ice-water glass and your friends will get annoyed they got stuck with a junior-size drink.